Complete caddy box with tiered compartments for use with all your arts and crafts. 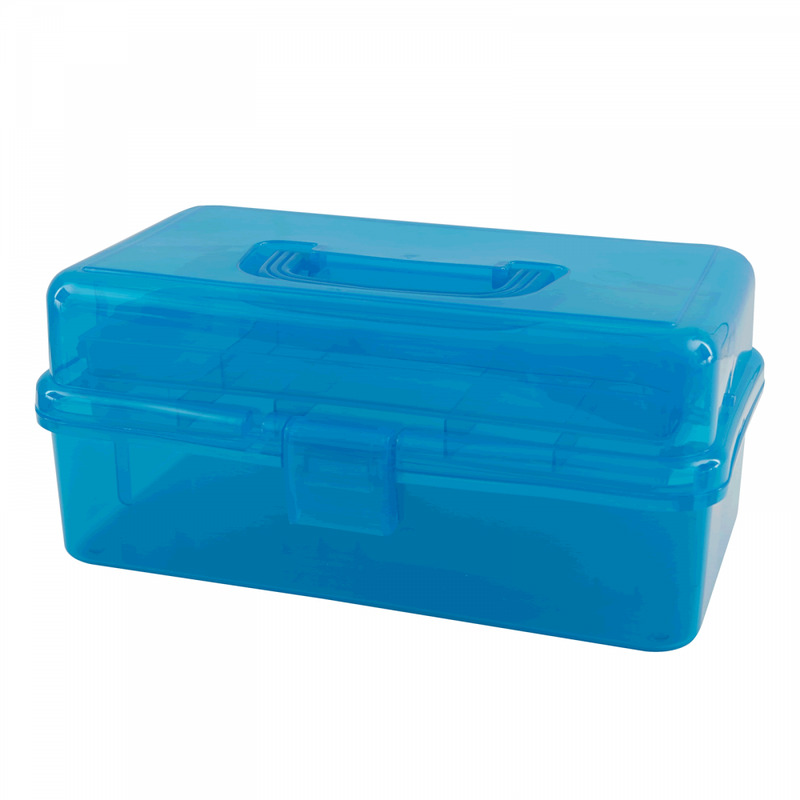 This is the perfect box for organising embellishments and other small pieces of work or tools. It's versatile strong, clear plastic hobby box with handle with snap lock closure. Smooth finish with rounded edges and multi-tier compartment storage system with large bottom space for larger storage.